The military whistleblower's 2010 Wikileaks dump included information that could have saved the 11 BP workers who died that spring in the Gulf of Mexico oil rig disaster. Five years ago Monday, 11 men died on the Deepwater Horizon oil rig -- despite Chelsea Manning's effort to save their lives. The BP drilling rig blew itself to Kingdom Come after the "mud" -- the cement used to cap the well -- blew out. The oil company, the federal government and the industry were shocked -- shocked! -- at this supposedly unexpected explosion in the deep waters of the Gulf of Mexico. In both the Gulf and Caspian blow-outs, the immediate culprit was the failure of the cement, in both cases caused by the use -- misuse -- of nitrogen in the cement mix, a money-saving but ultimately deadly measure intended to speed the cement's drying. The cover-up meant that U.S. regulators, the U.S. Congress and the public had no inkling that the cost-saving "quick-dry" cement process had failed on an offshore rig only a year before the Deepwater Horizon blew. 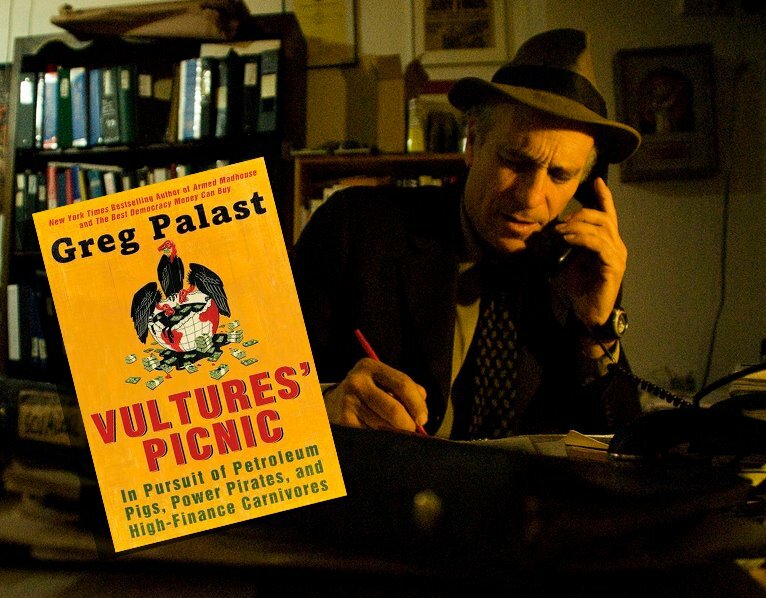 You can watch the Deep Water Horizon report in Palast's documentary compilation film, Vultures and Vote Rustlers, which will be available as a FREE download for the next two days courtesy of the not-for-profit Palast Investigative Fund. But Pvt. Chelsea (formerly Bradley) Manning tried to warn us. The details of the Caspian Sea blow-out off the coast of Baku, Azerbaijan, were revealed in the secret State Department cables Manning released in December 2010 through Wikileaks. Cables from the U.S. ambassador relayed a summary of confidential meetings in which BP's top Azeri executive confided that their big Caspian offshore rig suffered a "blow-out" in September 2008 leading to the "largest such emergency evacuation in BP's history" -- its likely cause "a bad cement job." The message was relayed to Washington after BP's American partners in the Caspian, Exxon and Chevron, asked the State Department to find out why BP had ceased to drill in the Caspian, costing them all millions. State, then headed by former Chevron board member Condoleezza Rice, got the oil chiefs their answer -- then joined them in keeping it secret. Had BP or the State Department 'fessed up to the prior blow-out -- a disclosure required by U.S. and British regulations -- it is exceptionally unlikely that BP would have been allowed to use the quick-dry cement method in the deep Gulf of Mexico. Indeed, there may have been a complete prohibition on the drilling, because Department of Interior experts had opposed deep drilling in that part of the Gulf. To lobby the government to allow drilling there, just six months before the Deepwater Horizon blew, BP executive David Rainey and the presidents of Exxon USA and Chevron testified before Congress that offshore drilling had been conducted for 50 years "in a manner both safe and protective of the environment." It is hard to imagine the oil companies defeating the Interior experts had the executives admitted to the recent blow-out in the Caspian Sea.